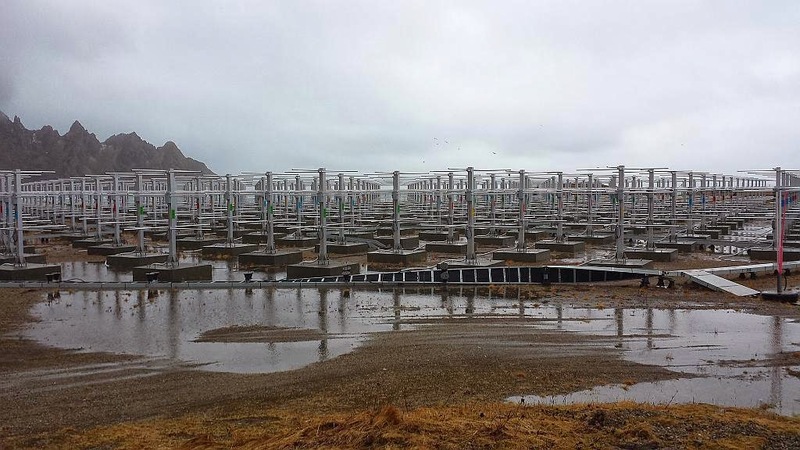 Ralph Latteck from IAP sent me some pictures of the damage at MAARSY caused by the same winter storm that disintegrated one of KAIRA's HBA tiles and fell down an antenna mast of the EISCAT Tromsø ionospheric heater. Even though MAARSY is right by the seaside in Andoya, it survived the storm with only minor scratches. The main damage was in the form of twisted cable trays and a few bent antenna elements. 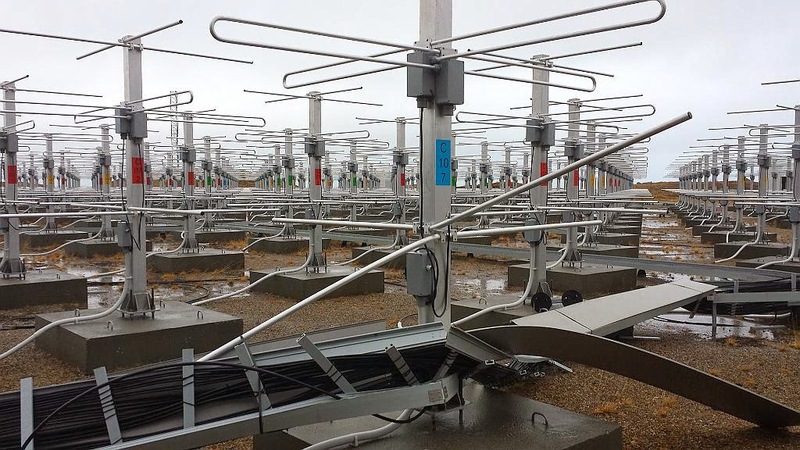 While the some of the cable trays look pretty mangled, only a few of the cables feeding the antennas were severed, allowing the radar to continue operations pretty much normally. Good thing that the antennas were fairly rugged and firmly weighed down with slabs of concrete. One mangled cable tray. The picture also shows the new configuration of the array with the dual polarization capability. This is helpful when observing the ionosphere, where the 53.5 MHz radio wave experiences significant Faraday rotation. The worst of the damage. The cable trays have caught some wind, causing two antenna elements to bend out of shape. This was also a reminder for me that I should write a posting about MAARSY at some point. It is truly a remarkable instrument. Not only is it a state of the art instrument for observing the mesosphere, stratosphere, and troposphere, it can also be used to observe meteors and the ionosphere.